I have a weakness for overly-complex plots. 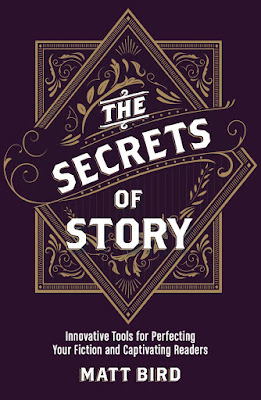 When I first dream up a story, I worry about the wrong things: “Is that it?” “Are there enough twists?” “Is there enough story?” “Does it feel big enough?” “Does it feel like a movie?” I soothe these doubts by piling on twists, escalations and reversals until it “feels like a movie.” After all, only in a movie would all this crazy stuff happen to one person! At first, my elephantine plots combined with my flabby scene-work to create first drafts that were upwards of 200 pages. Even a beginner knows they’ve done something wrong when that happens. (One page, properly formatted, is supposed to equal one minute of screen time, so you don’t want to go over 120, which is a two-hour movie.) Soon I figured out how to make my scenes as lean as possible and strip away enough subplots so that my screenplays were clocking in just under the line at 119 pages. But I gradually realized that these 119-page-wonders were still not working. A lot was happening to my heroes, but they had little time to think about it or react to it. There certainly wasn’t any time to pre-establish what their expectations were before a scene happened. They were going on massive external journeys and teensy-weensy internal journeys. My first instinct was to add some “character scenes”, but I was already out of room. Even if I shaved off another plot twist in order to give them some rumination downtime, it was too little, too late to create a fully realized character. Here’s the problem: when I was asking, “Does it feel like a movie?”, I though the key word was “movie” but the key word was actually “feel”. If it doesn’t feel like a movie, don’t amplify the movie-ness of it all, amplify the feeling. This is the difference between “complicated” and “complex”. All the complications in the world don’t add complexity, which is what makes a work great. I suddenly realized something: my characters spent all their time talking about the plot, explaining it to themselves and explaining it to the audience. This is inevitable when the plot is too complicated. But a good plot must be simple enough that both the characters and the audience understand it just by looking at it. If there’s a problem (emotional or physical or both) they should see the problem, not figure out what it is with long explanations. Once I realized that my characters needed to have much bigger personalities, and they needed to talk about something other than the plot at least once in every scene, I realized that my plots needed to be massively-downsized. I had been so proud of myself for shrinking my three-hour plots down to two hours, but now they needed to get even leaner: I realized that a good two-hour movie has a one-hour plot. Carson over at ScriptShadow recently did excellent breakdowns of the first and second Die Hard movies, to determine why one worked and the other didn’t. The first one, for all its little twists, is a relatively simple, self-explanatory story: gunmen have taken over a bank-building and hold everybody hostage long enough to drill into the vault. The big problem for the hero isn’t about figuring out what’s going on, it’s dealing with his own personal baggage while he’s solving the problem, since the villains attacked just as he was dealing with a massive emotional crisis. 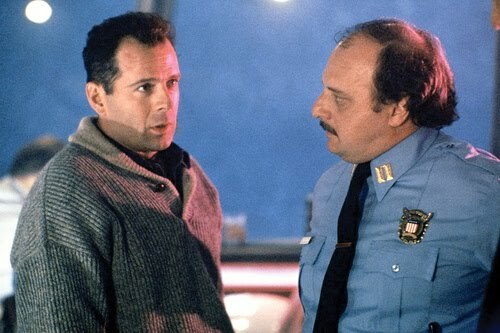 In Die Hard 2, John has no personal baggage, no emotional crisis, and never discusses anything but the plot. The extra room this creates in the script is filled by a far more complicated, non-self-explanatory plot. In the first movie, you can tell what the bad guys want to do just by looking at them. In the second, both sides have to keep explaining every step of the process. Die Hard has a one-hour plot, stretched to two hours by John’s emotional crisis. Die Hard 2 has a two-hour plot, which leaves us exhausted but not exhilarated.